Call us at (727) 541-7545 Today! We are a Family-Owned and Operated Business, Trane™ Comfort Specialists, we offer a Complete Customer Satisfaction Guarantee and continue to have a 100% Referral Rate from Our Replacement Surveys. 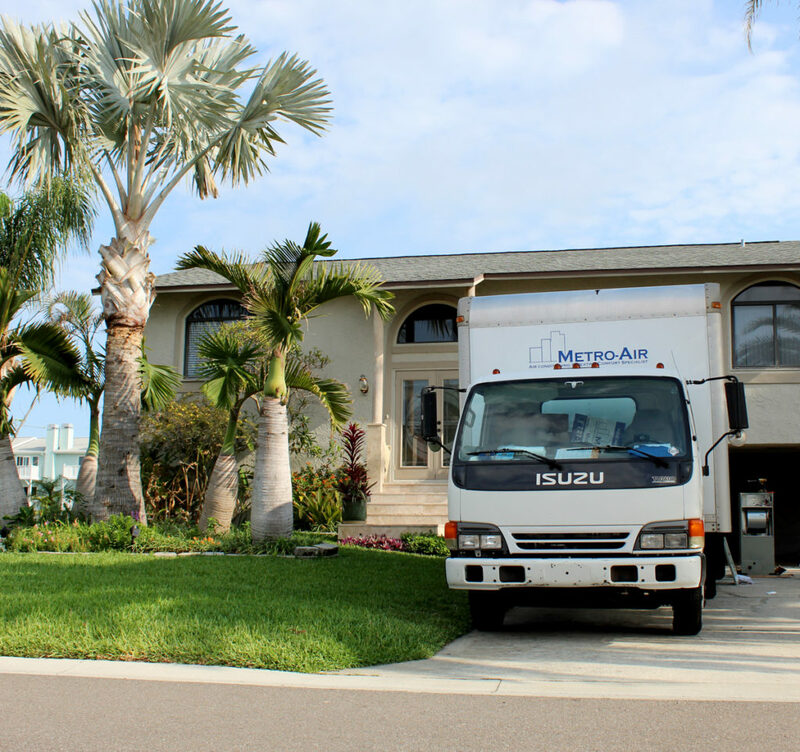 Find Reputable Air Conditioning Services in Largo, FL Also Serving All of Pinellas County. Whether your air conditioning unit needs a tune-up before summer arrives, or it needs a complete repair, the sooner you do it the better. The good news is that Metro Air can provide whatever you need. For those winter months, we provide heating services too. In addition to our quality service, we also provide peace of mind and efficiency. Trust our reputation, established through 40 years of experience in the area. We help you save money in many ways. One is by preventing major problems through tune-ups. We investigate the system, check operating pressures, and examine working components. We also inspect indoor/outdoor coils and clear your drain line and drain pan. Whatever brand you have, we can help. Same-day and after-hours service are available. Whether you need a heater or air conditioning unit for your commercial or residential building, we have the experience you want. Our professional team installs products which come with a 10 – 12 year warranty. Odors, mold, and mildew don’t have to plague you anymore. We use an EPA-registered product to fog your ductwork in a safe manner for your home and family. Over the years your duct work can start falling apart and needs to be replaced. Replacing your duct work will improve the efficiency for the system. Our business model depends on satisfying you; we get 90% of our business through happy customers’ references. So trust us. We want everyone to win. Another way we ensure that everyone wins comes from our approach to doing business. With us, you don’t work with a middleman. You work with the owner—the person most interested in providing you with the best. For reputable HVAC services in Largo, FL, call (727) 541-7545 today! As Trane Comfort Specialists, our techs are not only specifically certified, but also expertly qualified to install and repair Trane heating and cooling products. Choosing to offer Trane equipment and being named as Trane Comfort Specialists have been significant factors in the success of our business. Changing air filters every 30 days will ensure top system performance, efficiency and lower running costs. Subscribe now and we will send you a reminder on the 1st of each month to replace your air filters. Contact Us today at (727) 541-7545 Improve the quality of your HVAC unit with help from our AC repair service team in Largo, Florida. Serving all of Pinellas County.